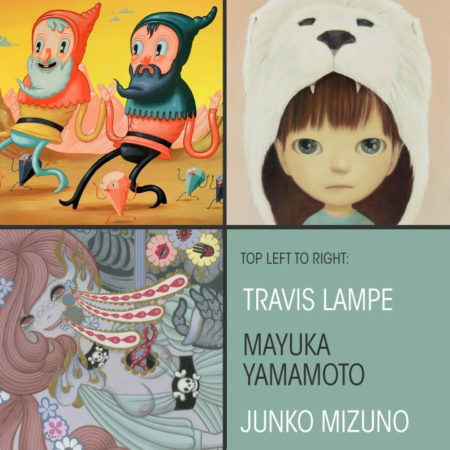 On Saturday, February 23, downtown Los Angeles’ Corey Helford Gallery is proud to present a three-artist show featuring new works from popular Japanese manga artist Junko Mizuno,Mayuka Yamamoto, and Chicago-based illustrator and toy maker Travis Lampe in Gallery 2. 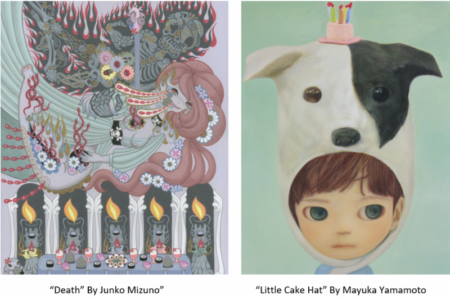 In Mayuka Yamamoto’s upcoming show, entitled Animal Boys, she reflects on her childhoodand explores ideas of natural instinct and anxieties, related to growing up. She prefers to leave her “animal boys” (children dressed like animals) and enigmatic expressions against soft, pale backgrounds, a mystery to her viewers. 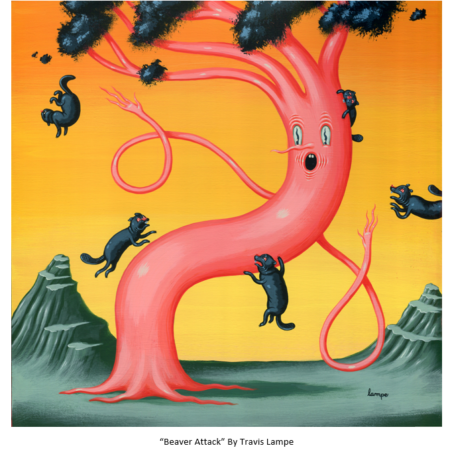 Follow the links below for more info and an upcoming exhibition schedule.